In Southeast Asia, iconic wildlife species such as tigers and elephants survive in tenuously small populations surrounded by villages, agriculture and roads. Tigers, in particular, face a menacing combination of threats – direct poaching for their body parts, which are sold internationally as medicine and decorations, and poaching of their prey, like the sambar, barking deer, gaur and wild pig, that tigers depend on for survival and reproduction. Wildlife poaching, especially of large mammals, has reached critical levels in Thailand and throughout Asia, resulting in forests that are nearly empty of animals. Tackling poaching requires professionally managed protected areas and often, high levels of ranger patrolling. But park rangers are usually outnumbered by local people living in the surrounding areas. If parks fail to gain the help of local people in the fight against poaching, then the continued efforts of the poachers will overwhelm even the best-trained, motivated rangers who are at the frontline protecting tigers. But if society actively supports conservation efforts, then rangers would be part of a broad alliance that outnumber the poachers. Engaging society in conservation is crucial for lasting and effective conservation. In 2008, WWF-Thailand and Kuiburi National Park in southern Thailand’s Prachuap Khiri Khan Province, began an experimental project to reduce poaching by enlisting the support of surrounding communities. Conducted jointly with Thailand’s Department of National Parks, Wildlife and Plant Conservation, the project’s main goal was the recovery of tiger prey. Until then, tiger prey population had been poached to such scarcity that tigers were on the verge of extinction. 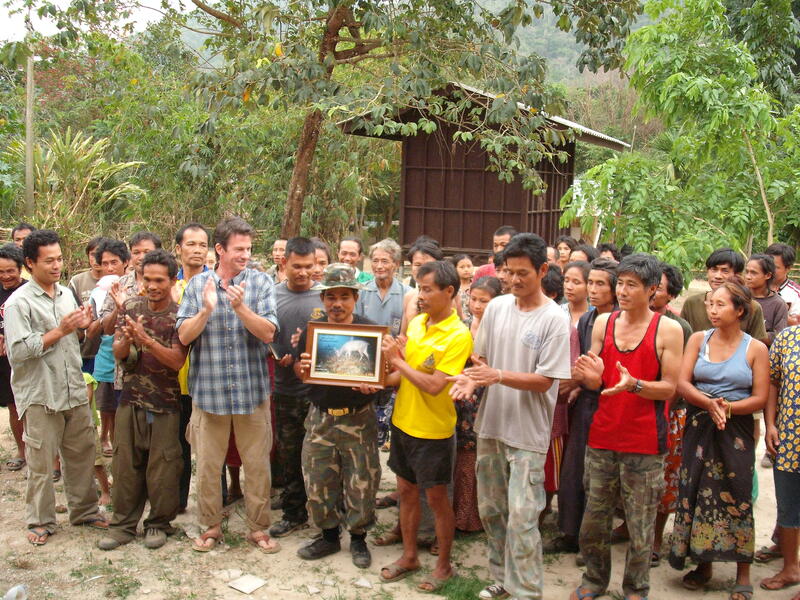 Under the project, a long-term outreach and education campaign was organised, reaching out to three strata of local village society – adult villagers, children, and local leaders and government officials – that could help stem the tide of poaching. Increased awareness of the plight of wildlife, its role in maintaining healthy ecosystems, and the immorality of driving another species to extinction, must surely be a prerequisite to action. Therefore, as a first step, the project sought to raise awareness, increase knowledge, shift attitudes, and build compassion for wildlife. Outreach events were organized at village meetings, schools, markets, temple fairs, youth camps, government meetings, and in the forest itself. A tiger mascot joined some events, which were educational and fun, with slide shows, games, music and discussions. 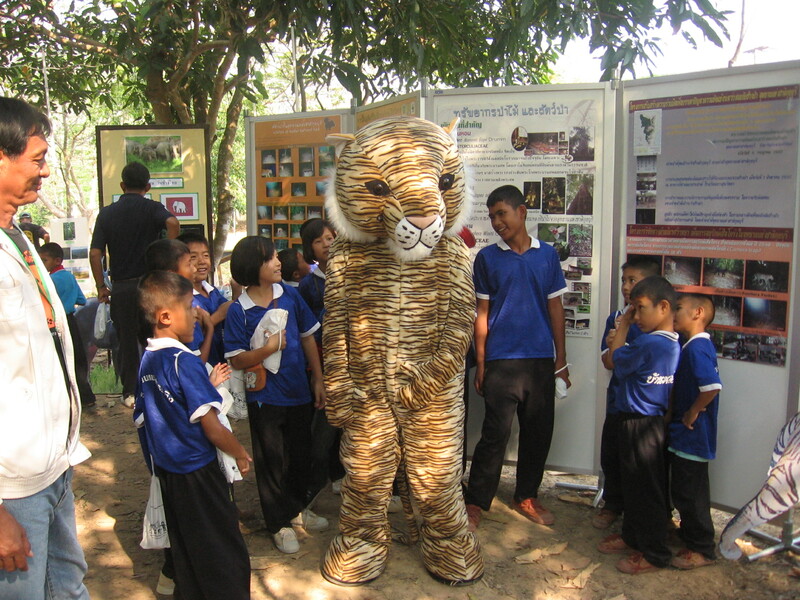 In 2009 a Wildlife Recovery Network of 11 schools was initiated, and teachers have implemented a local curriculum focused on wildlife recovery issues. Altogether over 100 outreach events had been conducted since 2008 when the experiment started, directly reaching out to more than 7,000 people. But awareness and knowledge are not enough. People also need incentives to change behaviour. Outreach emphasized the role of wildlife in maintaining healthy forests and watersheds which local people ultimately depend on. Also, the project’s school outreach urged students to share their concern about what they had learned with their parents. This then creates an incentive for parents to shift behaviour in favour of conservation. But still more is needed. People need choices, and solutions to act on. At every outreach event people were proposed three simple actions they could voluntarily undertake. These were, in increasing order of difficulty: (1) spread the word about the precarious state of Kuiburi’s wildlife; (2) reconsider hunting, eating or buying wildlife; and (3) reject outside poachers by alerting the park to poacher incursions. Poachers themselves were not expected to participate in outreach events, but it was expected they would be influenced indirectly, by encouraging new social norms in society that constrained poachers. People often respond to society’s expectations – if neighbours and children of poachers no longer tolerated poaching, many poachers might think twice. To evaluate the effects of outreach, poaching pressure and wildlife population trends were monitored. Since 2008, poaching pressure has declined every year; ranger patrols found four times fewer poaching signs, such as shotgun shells and hunting camps, in 2011 than in earlier years. A questionnaire survey indicated that the main driver of this decline in poaching pressure was increased awareness from park outreach. Wildlife responded to the increased freedom from persecution. Camera trap and sign surveys indicated that distributions of gaur, sambar, wild pig and muntjac – the main prey of tigers – more than doubled. 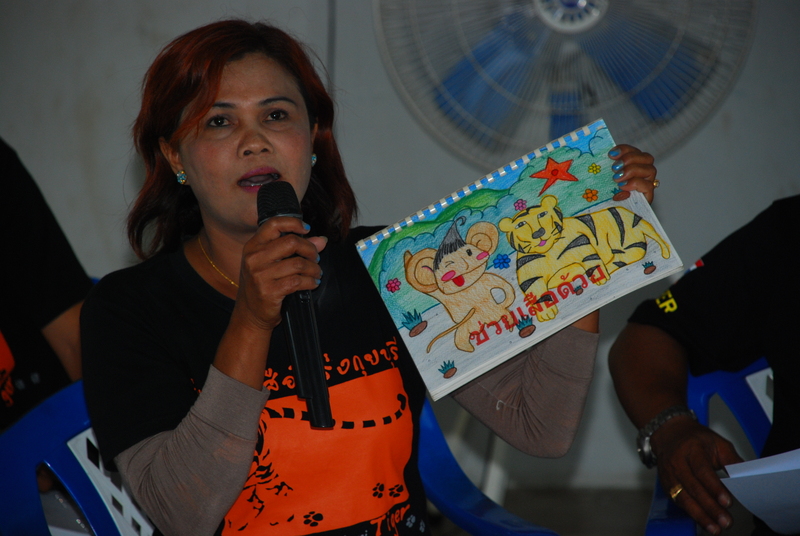 The experience at Kuiburi clearly demonstrates that when local communities are well-engaged and mobilized, through outreach and partnerships, they can be a very powerful force against poaching. 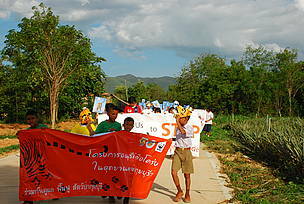 Children participate in a School Wildlife Recovery Network activity. Global Tiger Day - spare a thought for tiger prey too! A children's anti-poaching parade in Thailand. 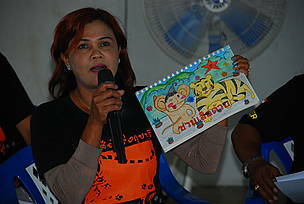 A teacher in the School Wildlife Recovery Network shows children's artwork produced after implementing the local tiger curriculum. 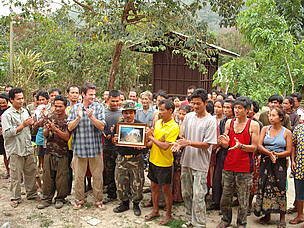 Robert Steinmetz (3rd from left) and other project leads present a certificate that acknowledges the contributions made by Pa Mak village towards project sambar.